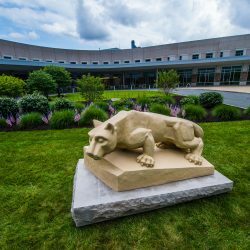 Reading, Pa. — Penn State Health St. Joseph will offer free flu shots for adults and children on Wednesday., Oct. 17 from 2 p.m. to 7 p.m. in the main lobby of the Bern Township campus. While not required in order to receive a flu shot, the hospital also is welcoming donations of non-perishable foods or supplies which it will donate to the Animal Rescue League of Berks County and Humane Society of Berks County. Attendees can bring donated items to the main lobby as they come in for their flu shot. The hospital typically inoculates about 1500 people a year through its annual flu shot program. The vaccine will be available by injection only. No registration is required. The Bern Township campus is located at 2500 Bernville Road, Bern Township (Reading), Pa.